Leading Manufacturer and Supplier from Mumbai, our product range includes Electrical Mats such as Industrial Mats, Electrical Insulation Mat, Electrical Insulation Door Mats, Commercial Kitchen Rubber Mats, Coin Mats, Electrical Rubber Mats and many more items. We are a coveted organization that is engaged in manufacturing, wholesaling, retailing and exporting Insulation Door Mats. The offered products are manufactured using advanced technology. Our range is ideal for resilience flooring conditions and pathways due to its non-slip rib surface. All these products are available with a fluted design and ensure efficient usage as these help in removing moisture & grit from footwear. We specialize in manufacturing, supplying, wholesaling, trading, retailing and exporting a vast array of Commercial Kitchen Rubber Mats. High quality material is used in the manufacturing process by our professionals. Our range is extensively used as an efficient tool for preventing grounding for employees & technicians. We offer these in various specifications at nominal rates. In order to fulfil the ever-changing demands of our clients, we have been engaged in manufacturing, supplying, wholesaling, trading, retailing and exporting Coin Mats. 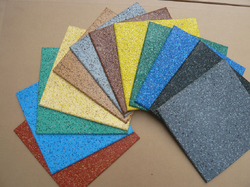 Excellent quality rubber is used to manufacture the offered mats. Our products are used in indoor flooring applications. These products enhance the ambience and also provide protection against slipping. Available in various colours and dimensions, our range is in adherence with international quality standards. 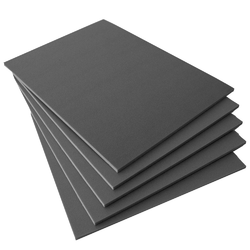 Our firm is involved in manufacturing and supplying a huge range of Electrical Insulation Rubber Mat. 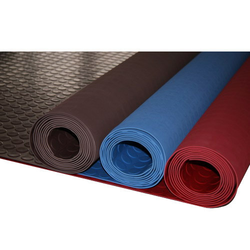 Our firm delivers precisely tested and a high-grade assortment of Poly Electro Safe Mat. We are leading manufacturer and supplier of Insulating Rubber Mats. It is manufactured using quality raw materials and latest technology. We are one of the preeminent manufacturers, suppliers, wholesalers, traders, retailers and exporters of Electrical Insulation Mat. Manufactured using an excellent quality material, our range is used as effective tools for preventing grounding for employees & technicians. All these mats are perfect to install under equipment and machinery for excellent functionality. 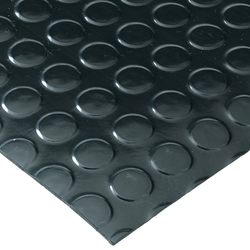 We are engaged in offering our clients a superior quality range of Electrical Rubber Mats. We are engaged in offering our clients a superior quality range of Industrial Mats. We design the given product following industrial standards by making use of best quality material and modern technology. Our firm is involved in manufacturing and supplying a huge range of Electrical Insulating Mat. We design the given product following industrial standards by making use of best quality material and modern technology. 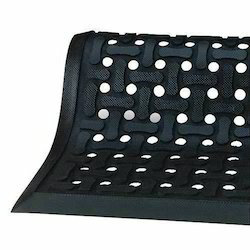 Rubber Stable Mat offeredcan be made available by us in different configuration options in black as well as in other colour options to choose from. Some of its features include available in different shore hardness; used as floor mat; protect animals like horse, cow from getting infected by bacteria and getting injured; good for use in cubicles or for calving boxes; easy to clean and maintain; non-slip surface for excellent foothold support. Silicone Rubber Mat offeredcan be made available by us in transparent and in other different colour options like red, white and others as well as in 100% virgin silicone rubber finish for lasting performance. Some of its features include smooth surface finish; non-sticky and superior heat resistance; excellent tear, oil and aging resistance; superior resistance to industrial acid & alkali; non-toxic and odor free usage; suitable for making of gaskets, seals, o-rings, washer; suitable for use in industry sectors like chemical industry, food industry and others.